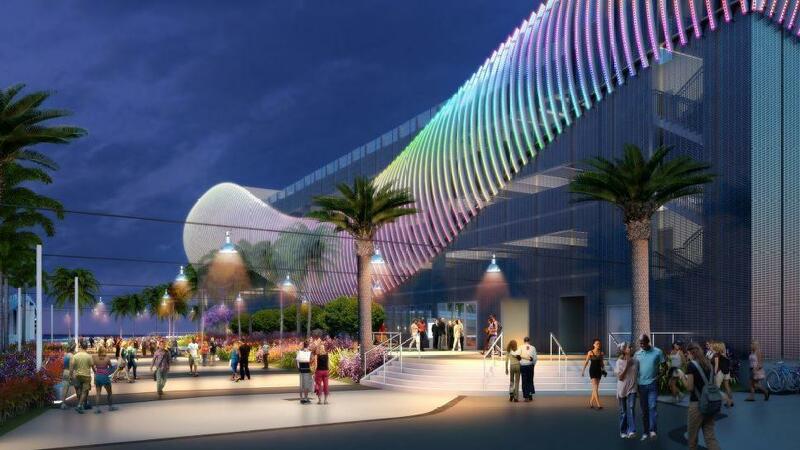 An eye-catching parking garage planned on the beach comes with an eye-catching price. The five-level structure at the base of the Las Olas Boulevard bridge will cost almost $21 million, or $31,460 per parking space. By comparison, the 2016 Miami-area average is $16,600 a space, according to national parking consultant Carl Walker Inc. The Broward County Courthouse garage came in at around $18,487 a space, and a 1,000-space Rick Case dealership garage in Davie cost about $17,155 a space, said Paul Kissinger, who heads up the EDSA architectural firm team of Fort Lauderdale, which designed the new beach garage. Kissinger said the city’s garage, which will begin construction in March, will be dramatically different from those two. It will be part of a growing urban trend of turning traditionally drab parking places into stunning architectural statements.